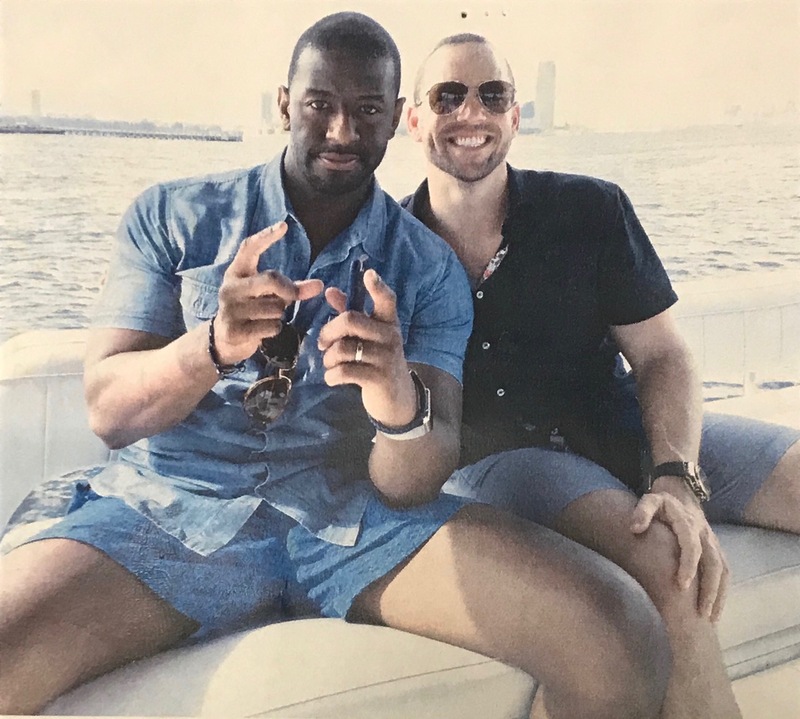 Tallahassee Reports has obtained a copy of a picture that the Tallahassee Democrat cropped in return for an interview with Andrew Gillum. The picture, shown below, verifies our previous report on the subject. The cropped picture -taken in New York – accompanied an article authored by Tallahassee Democrat reporter Jeffrey Schweers back in March. The article, written from Gillum’s perspective, chronicled Gillum’s decision to cut ties with his friend, Adam Corey. Corey has played a central role in the current FBI investigation into local government corruption. Schweers did not tell his readers the picture was ultimately cropped and how this decision transpired. Multiple sources have told TR that when Gillum was made aware of the photo, Gillum supporters reached out and pressured the Tallahassee Democrat not to print the picture. What followed was a negotiation that resulted in a cropped picture and the article. 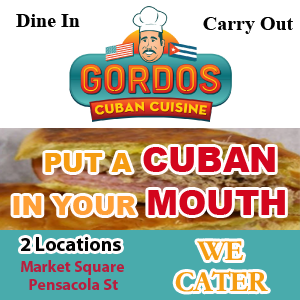 This issue is compounded by the fact that controversial pictures of other political figures were recently printed by the Tallahassee Democrat without alteration. Why was Mayor Andrew Gillum – who is a Florida gubernatorial candidate – treated differently? The publisher and the editor of the Tallahassee Democrat have not responded to TR’s request for a comment on why the picture was cropped. 28 Responses to "Recovered Picture Shows Tallahassee Democrat Altered Gillum/Corey Photo, Did Not Inform Readers"
You missed the point…But, your questions are on the money…”That’s it? What’s the big deal?” Exactly, so why did the Gillum camp (and the candidate) go bonkers when the Democrat called and asked about the photo? Why was there, according to sources, a negotiated agreement to crop the photo in return for a softball interview of no substance with the picture buried in the paper? Why did the Democrat crop this photo and not others of others in elected office? Bromance in the Big Apple. Has Andy told his wife? Maybe he told her and she made Andy cut ties with his former lover. Seriously the un-cropped photo looks like an LGBTQ endorsment…Andy shuuld use that un-cut I mean un-cropped photo to court that all important LGBTQ vote. “Not that there’s anything wrong with that” Jerry Seinfield. Just some guys on a guys weekend without their wives or girlfriends. (well the one) that has either. Doing guys things that guy friends do 800 miles from home with their guy friends. long term guy friends at that. I heard their was one with somebodies hand placed somewhere else that was a lot more interesting than this one. You mean the one the Levine and Graham campaigns will be bidding for? Seriously, this is about as unethical a move as I have seen in many decades. The Democrap has absolutely ZERO credibility left. Why sheeple is this town still pay Gannett to tell them lies is beyond all logic. Whoever was involved in this capital crime of journalism should be fired immediately, and not allowed within 500 feet of a news-gathering entity. They look like they are an actual “couple”, on a date..etc..We know Adam is gay, but is Andrew also? That photo is not altered, just cropped to take out unnecessary background. Seems like making much out of nothing. I’m no fan of Gillum – or most Democrats in general – but yeah, seems like much ado about nothing. 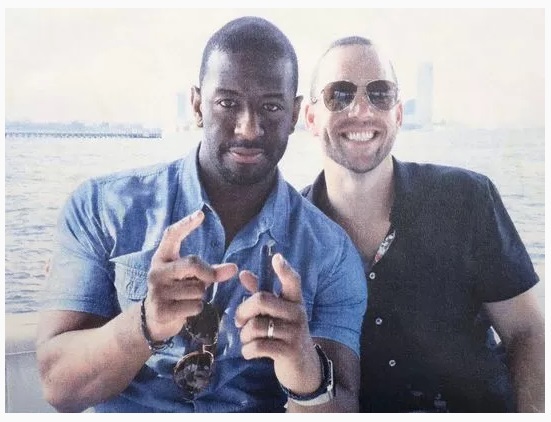 Unless the picture has something to do with questioning Gillum’s sexuality. Even in that respect again, much ado about nothing. Dude is doing his thing. So what if it was Rick Scott or Donald Trump in Gillum’s place in that photo? Would it still seem to be seems like much ado about nothing? Just look into your mind and kind of try to get a feel for what you would think about that. Would Rick and Donald get such a generous pass? What do you think Jimmy Kimmel or the beloved Stormy Daniels would have to say about that? Or (Good Time) Charlie Crist. He’s gotten passes from the media forever, no pun intended. The rumors about him and the sycophantic staffers in his gubernatorial campaign were ignored. Delusional Andy’s special “gay” friend reaped much benefits “taxpayers dollars” from that back- in -the -day special relationship! Its been a smoke screen from the very beginning! What’s unbelievable, the Citizens of Tallahassee Florida voted and brought the fake narrative far too long until an aggressive pursuit of Justice exposed the behind the scenes “shenanigans” of BFF. FBI aware of that special relationship and the narrative hence the pic! What a masquerade portrayed in Tallahassee! Nefarious deeds being exposed and as an added value to the DEMOCRAT candidate “GWEN” a great PIC because as we all know a pic is worth a thousand words or less when Delusional Andy drop from RACE due to whatever the narrative his faltering camp to spin at SOROS and others expense! Who would vote for a candidate whose LEGS are spread wide opened with a FBI person of Interest! As a REPUBLICAN alpha male, the pic is quite disturbing! Excellent job TR! what does the Democrat – a private business – owe Steve for justification? Not a damn thing. Vote with your wallet, dump that mullet wrapper, and quit whining. also one out of every three commenters on this site are classic closeted self-hating LGBT. Look deep into the spread … do it…yesss….let the shame flow through you. Too many of you are missing the point…Why did Gillum, and supporters, get so upset over this photo that he demanded it be cropped? Additionally, why would Democrat call about the photo to begin with? It certainly got the attention of the Mayor and friends. And, “AD” there is no need to generate a thing. Gillum does it all by himself as do all the others covered in this paper. BTW: How do you explain away all of the stories supported by the PUBLIC RECORD and documents provided by the City? It’s common to attack the messenger when you do not like the message. When you lie and lie and lie sooner or later when something that could be very mundane is altered, whether a photo or a remark, the “gotcha” starts. Andy is a child playing big man on campus bankrolled by an old and evil leech so he has no idea what to do when other than whine, push people to the back of the room and lie, lie, lie! Yes, honesty and transparency is the best policy but as we all know that is a policy that was thrown out of TOC a long time ago. As an event photographer I do this all the time. Catching folks in unflattering poses is a hazard of the job. If I had taken that photo at the event I would have cropped it as well prior to sending it to the client. If someone had taken that pic of me I would have asked that it not be publicly published without cropping. Crotch shots are just rude, as are unintentional mooning (catching people leaning over on the periphery of a shot), folks with a mouth full of food, and on and on. While there’s a whole lot to dislike about Gillum, not wanting that full shot published doesn’t strike me as conspiracy-inducing. Ken, while I do not disagree with your overall point, there is this little issue…it’s a newspaper, not an event photograph. It did not crop other photos for other elected officials. Additionally, why the phone call about the photo to begin with? The photo had to provided with some information which prompted the call. Lastly, one story (with credible sources) says Gillum arrived at the newspaper for the “arranged” interview with a well known attorney. Why? He surely does not have an attorney present when he does other interviews…Then, there’s the actions of the paper itself. While not surprising, it is an issue. In event photography, the subjects are the clients. In news photography, the readers/viewers, NOT the subjects, are the clients. I urge you to go through the list and count how many ethical violations the Democrap made in this contemptible quid pro quo. Adam’s left hand on his right leg looks very awkward. Makes me wonder where it was right before this photo was taken. Or after. If a politician will lie about their sexuality, there’s no limit to what he/she will lie about. The original published photo places no attribution to the photo. It’s a “SPECIAL TO THE DEMOCRAT” and indicates the photo was “. . . obtained by the Democrat . . .” Who took the photo and under what circumstances? A journalist? Some dude with a cell phone that was part of the party? How did they “obtain” it? Nothing would make me happier than to see Gillum wind up in the dustbin of political history. This story doesn’t do it for me. In the vernacular of today, a nothingburger. I’m with those who do not get the criticism of the Democrat for trimming a photo to make it less offensive to readers, without any modification that changed the message. I’m thinking that the Democrat reporter decided he wasn’t giving anything to Gilliam, except doing something Gilliam saw as a trade, by clipping the photo. Example: You’re representing someone who is suing a business for some monetary-worthy claim. During the civil trial, the business attempts to cut a deal with you that puts more money in your pocket. Of course you wouldn’t, because you’d be hearing from the Florida Bar in a heartbeat. The only difference here is that there’s no governing body over the local rag to cite and penalize them for ethical violations. Kinda like what we have with that toothless city ethics board. Who cares if he’s gay or straight. I’m gay, and I have been with “Married” men. Get over it already. Just because a person is married, doesn’t mean they are Heterosexual. It just means they are conforming to what society calls “normal”. The ones that are the most homophobic are the ones that are hiding their true sexuality. I don’t care what you do in your bedroom. Can your run the state to the best of your ability for All the people of the state and not just the Rich ones that want something done for the Rich! This is so stupid…….bring on the hate mail……. GO!! !